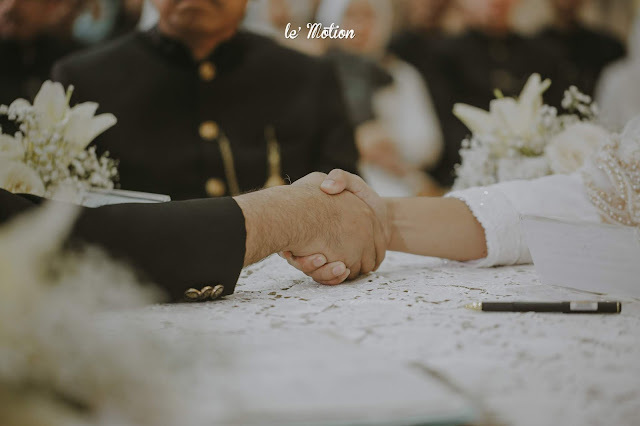 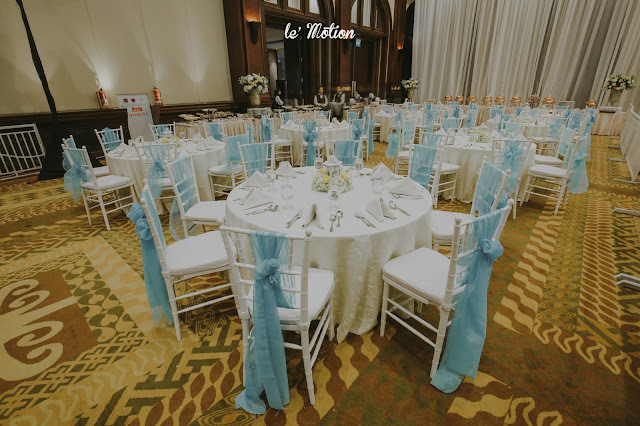 Every married couple must agree that choosing and pairing colors for the wedding play a MAJOR part of the planning process because it will set the mood on the big day. Here we are giving you one of the finest example of a wedding that will wow you with its color gradients! 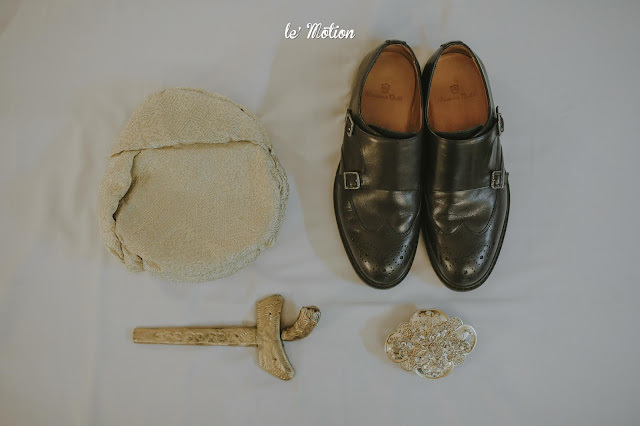 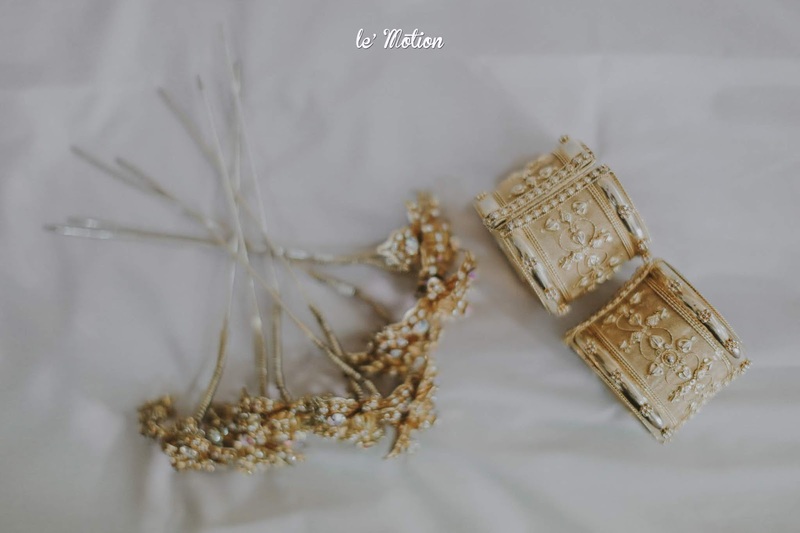 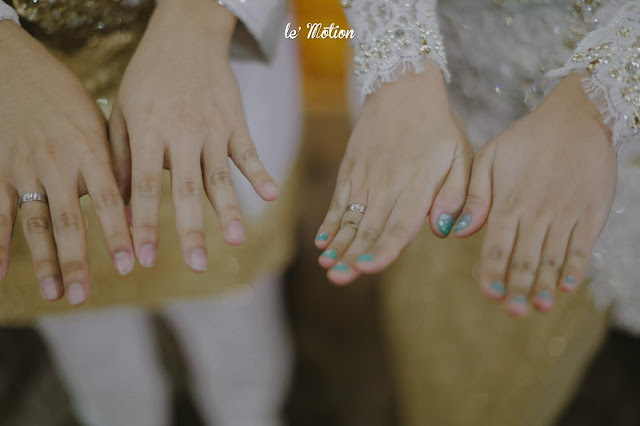 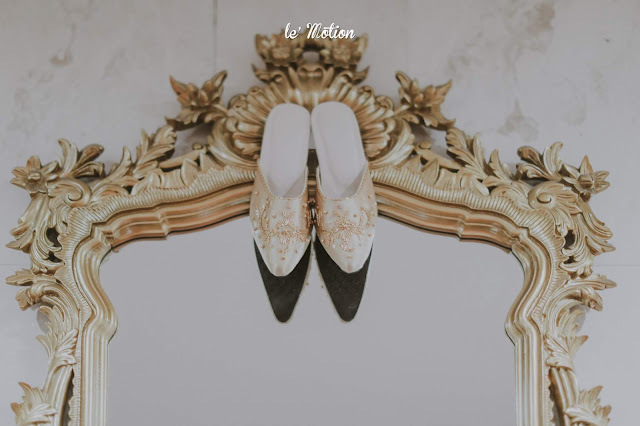 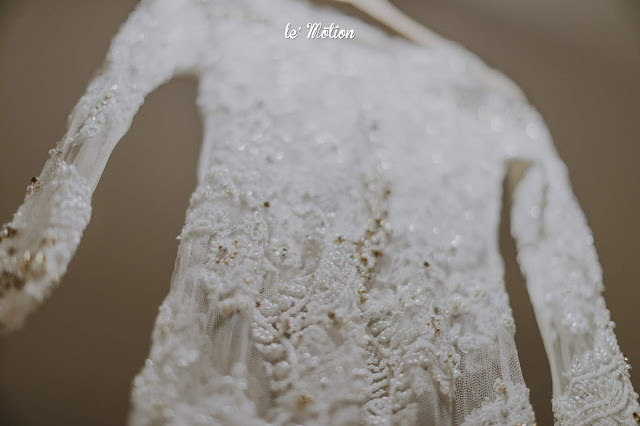 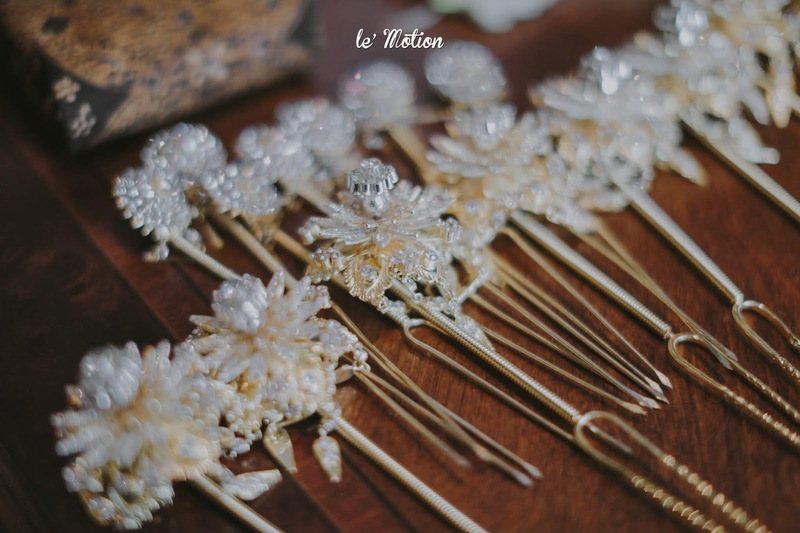 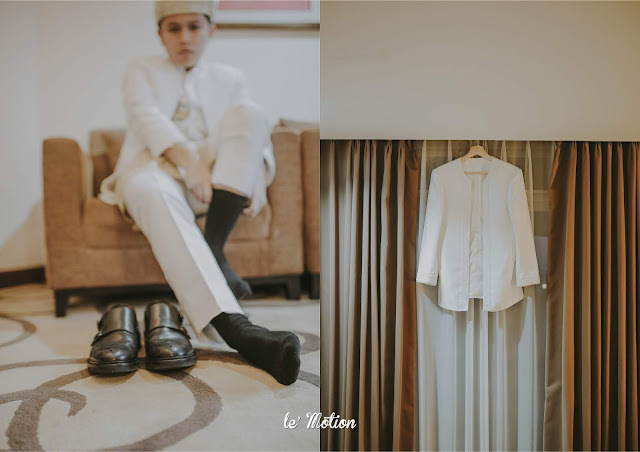 We absolutely love all the details that were put into Nafilla & Bimo’s wedding. 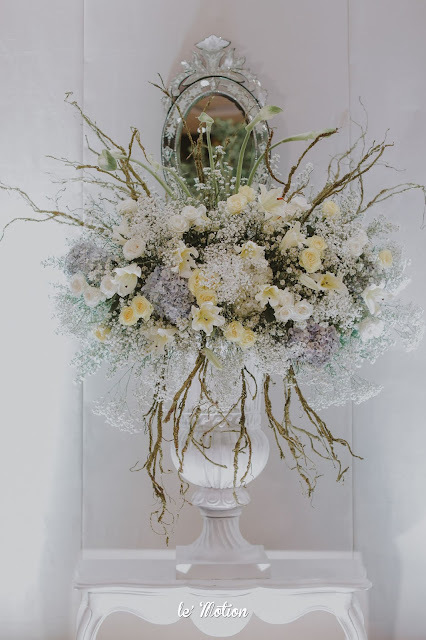 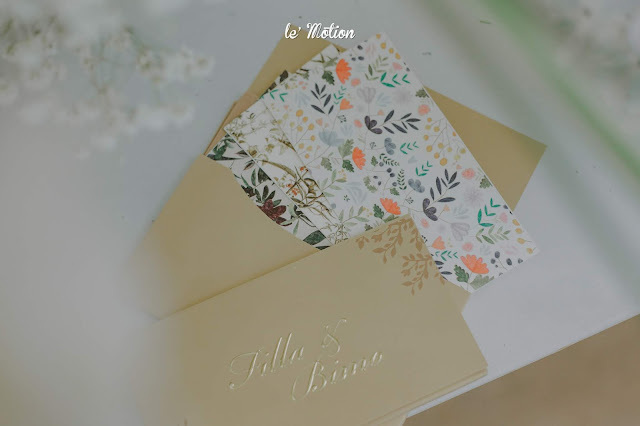 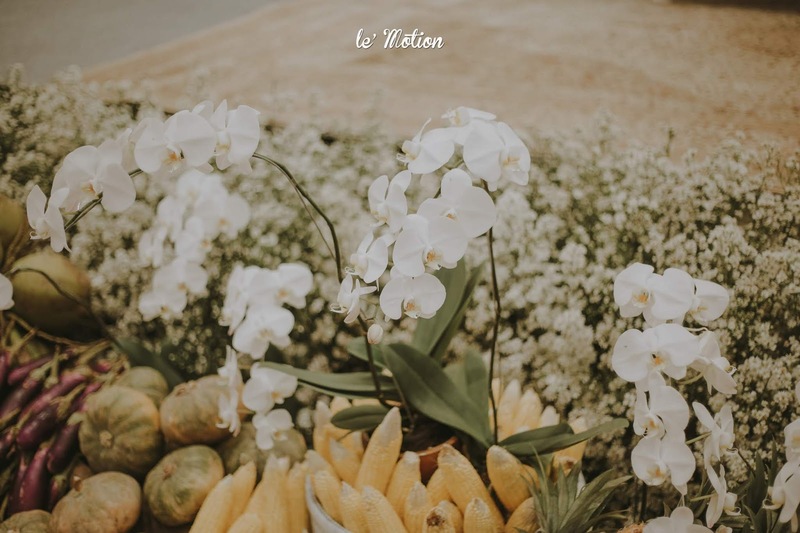 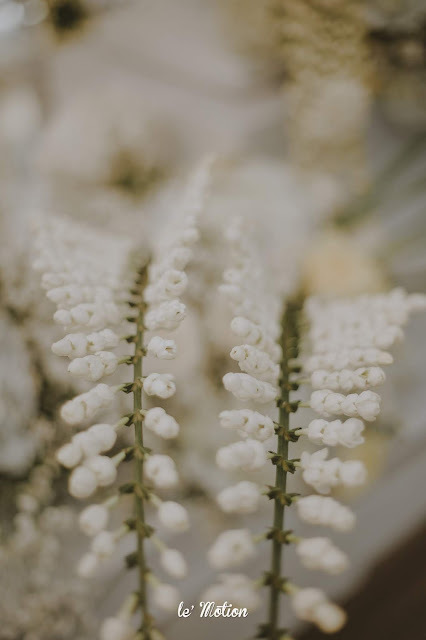 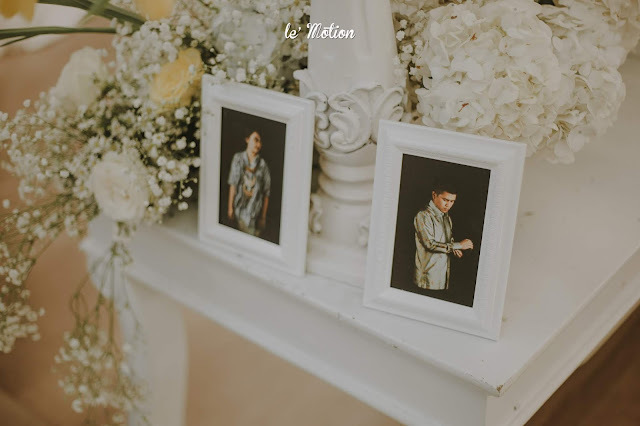 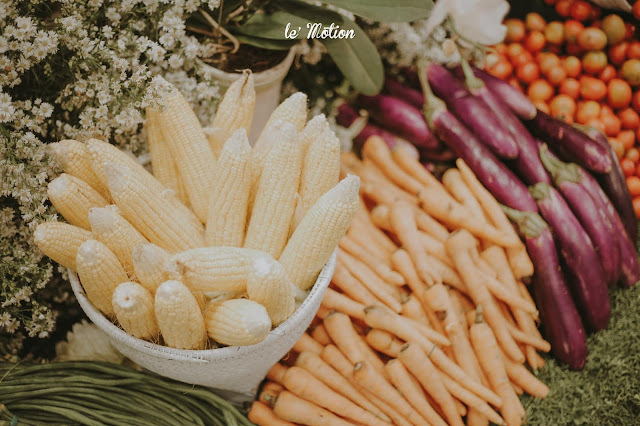 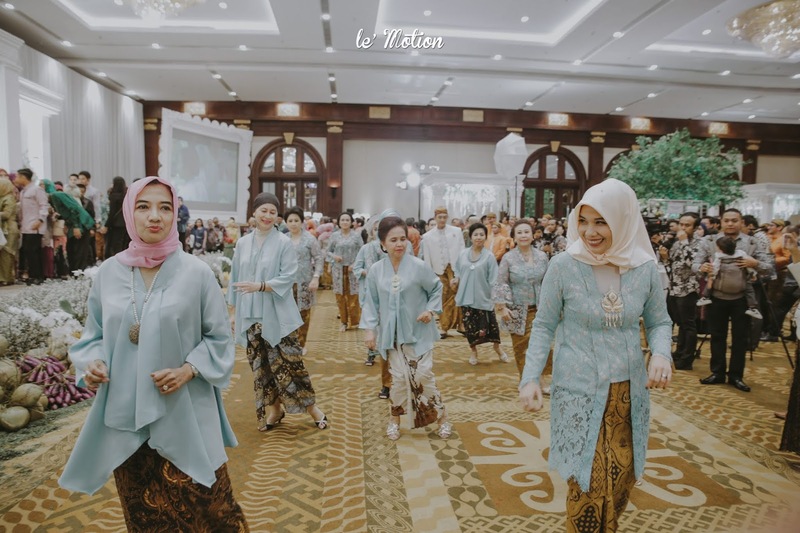 The color palettes they picked for literally the whole set of outfit (not only for themselves, but also for the family members and their close friends) in varying shades make a beautiful color combo along with the decorations that really draw our eyes. 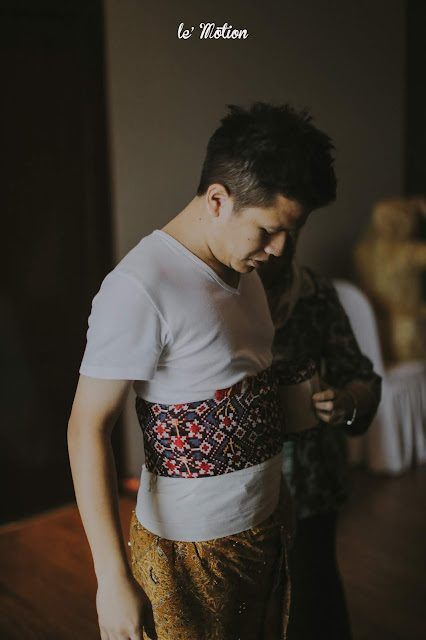 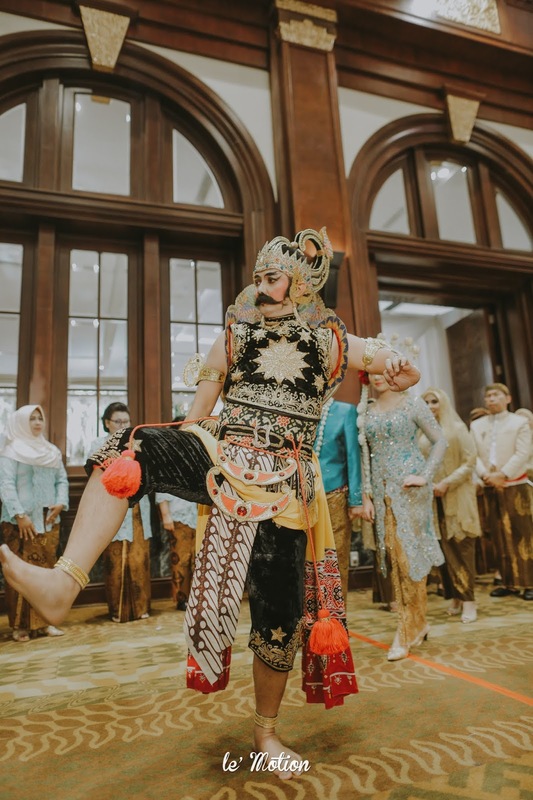 On their Akad, which was Minang-themed, they went for neutral colors for their attires. 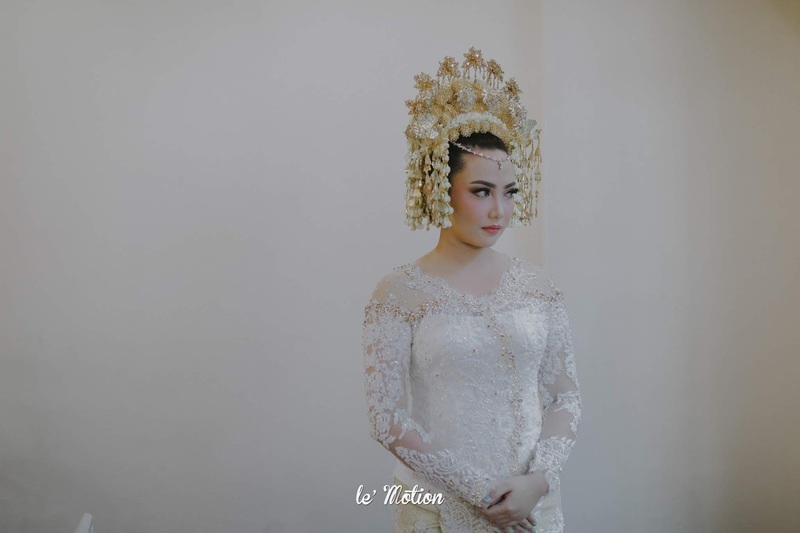 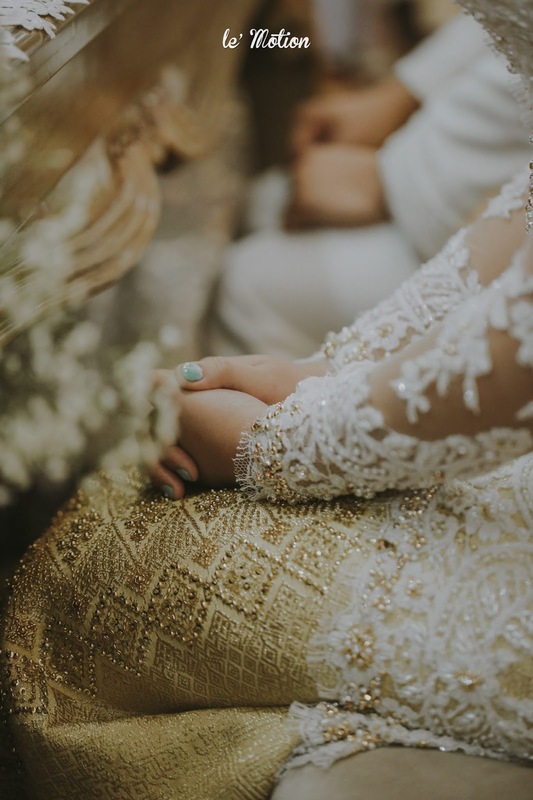 White has always been a wedding classic, but Nafilla & Bimo paired their delicate ivory sequined tops (kebaya for Nafilla & top+songket for Bimo) with champagne-gold fabric that allow them to shine while still maintaining a warm and soft feel. 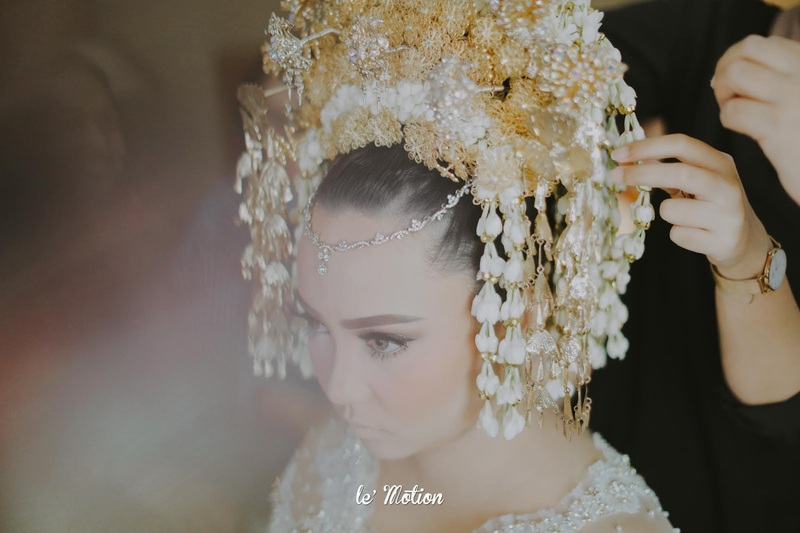 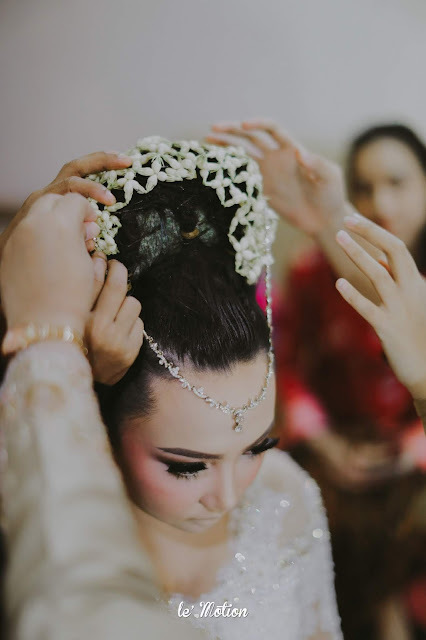 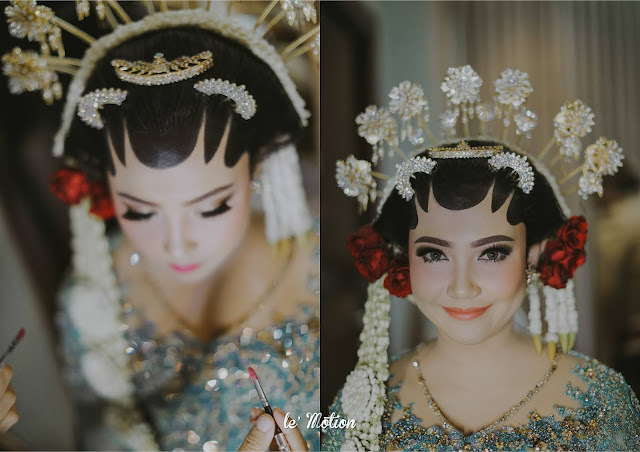 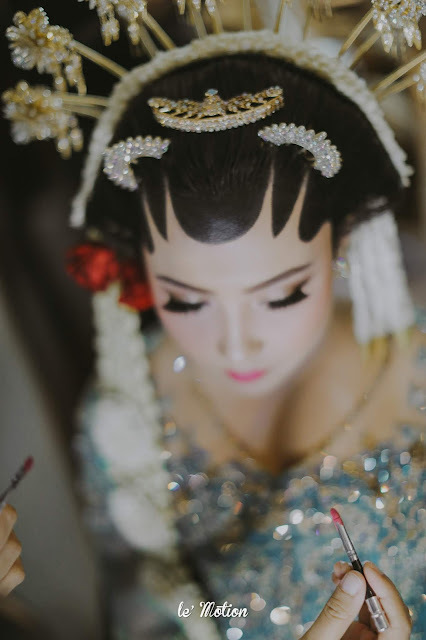 Nafilla’s suntiang appeared to be sooo elegant, embellished with white jasmine flowers all over it, and Bimo looked as sharp. 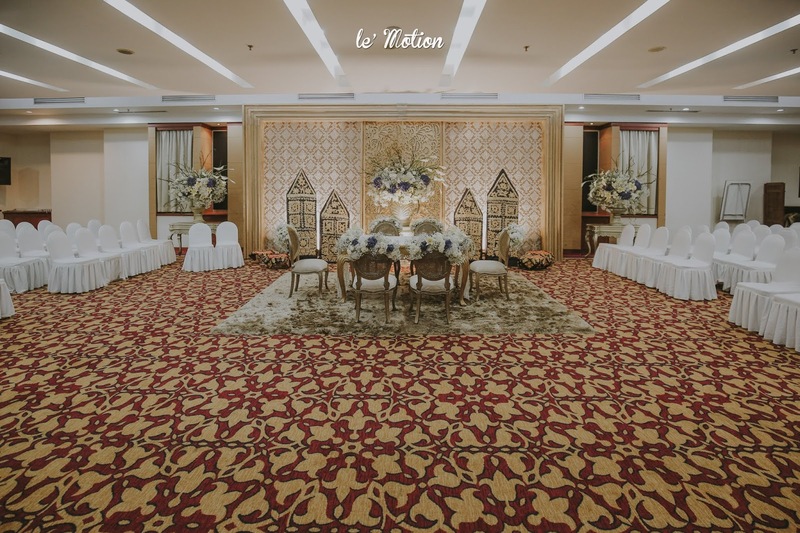 Not forgetting the decorations, we know that red color has always been the typical attribute for Padang wedding decorations, but not this time. 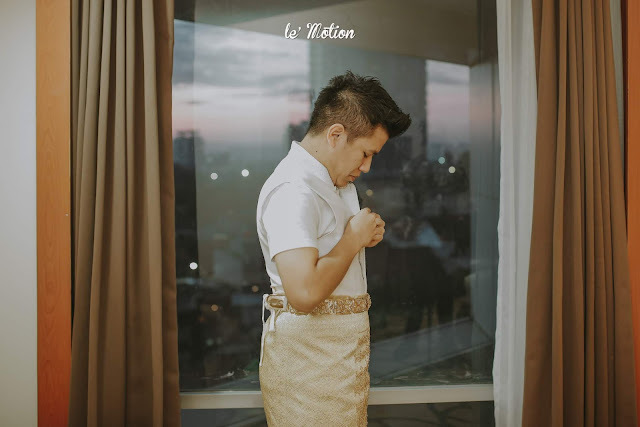 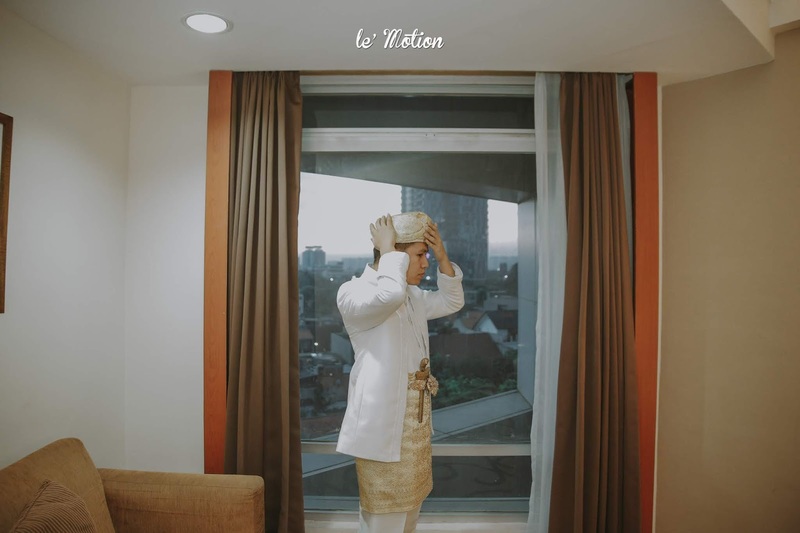 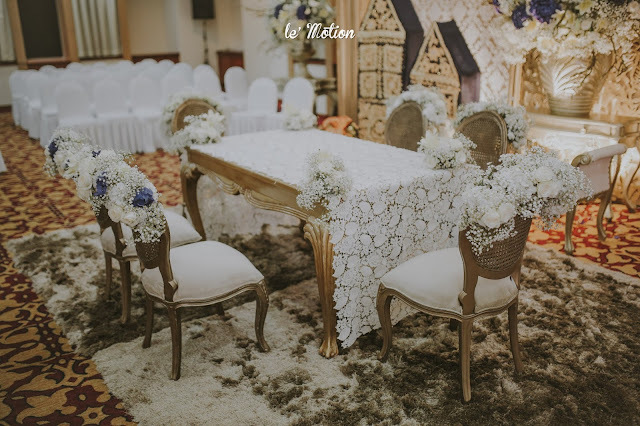 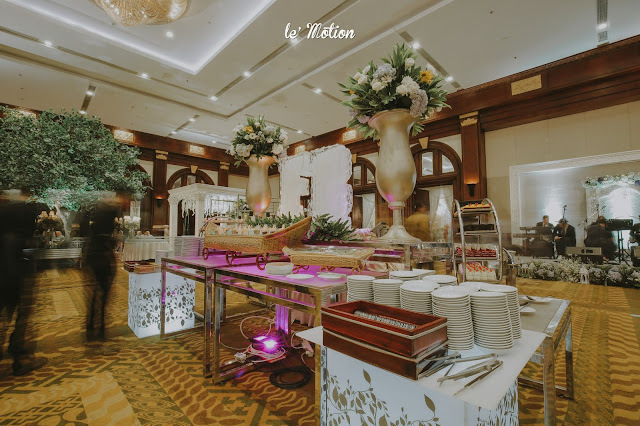 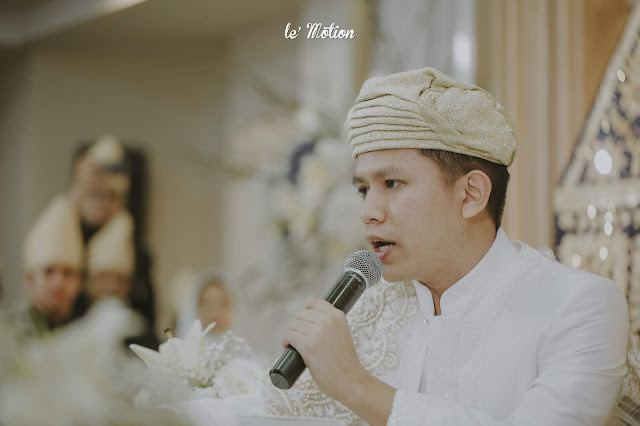 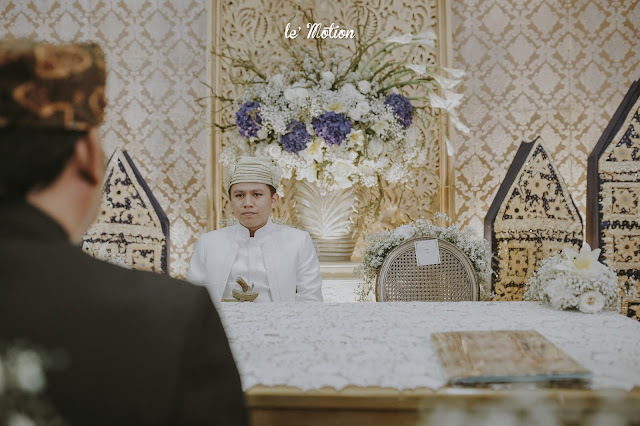 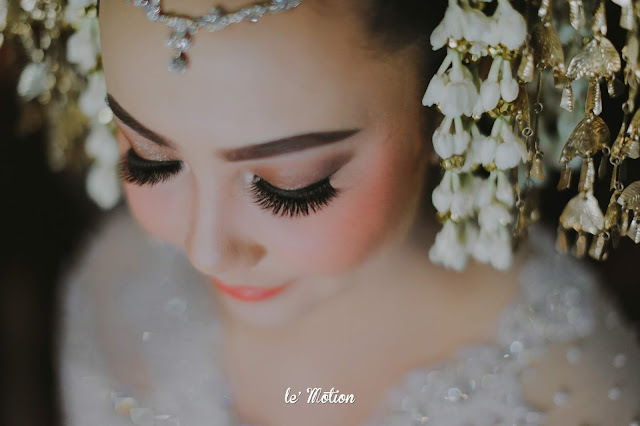 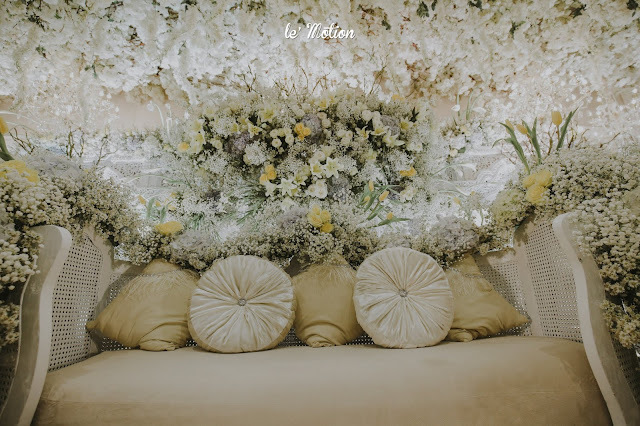 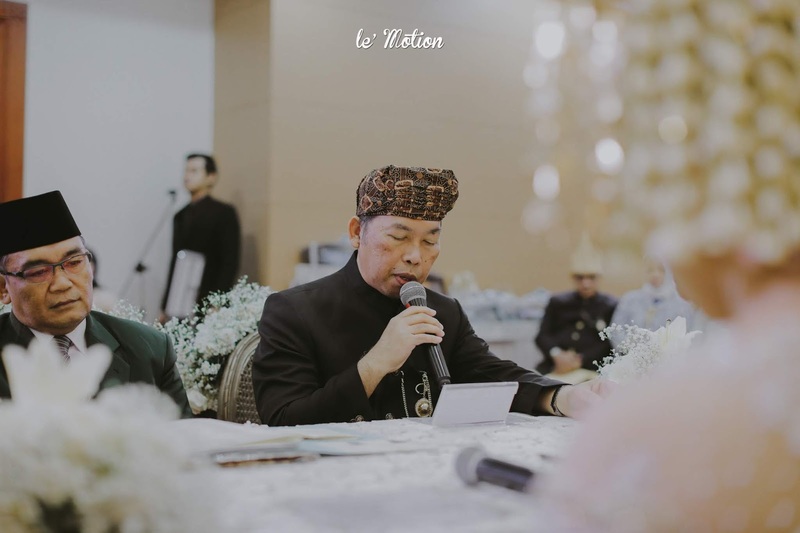 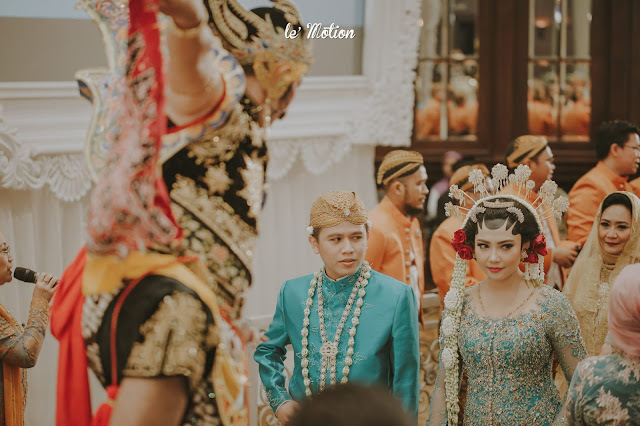 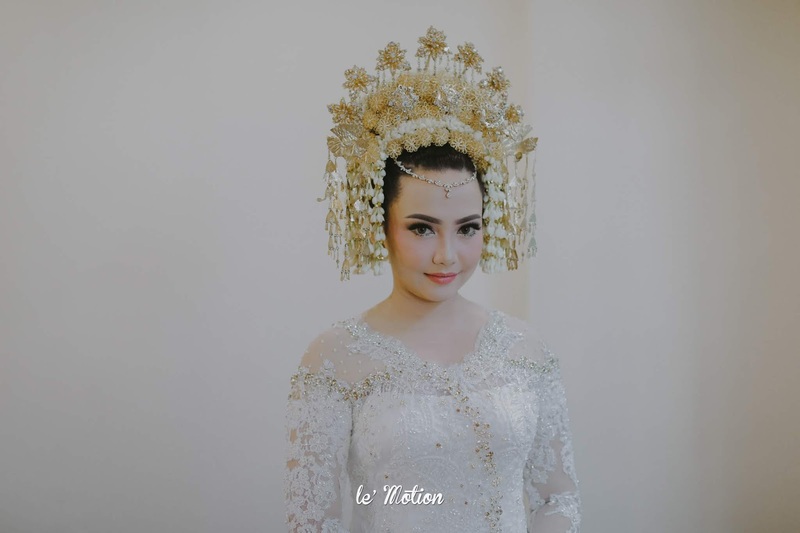 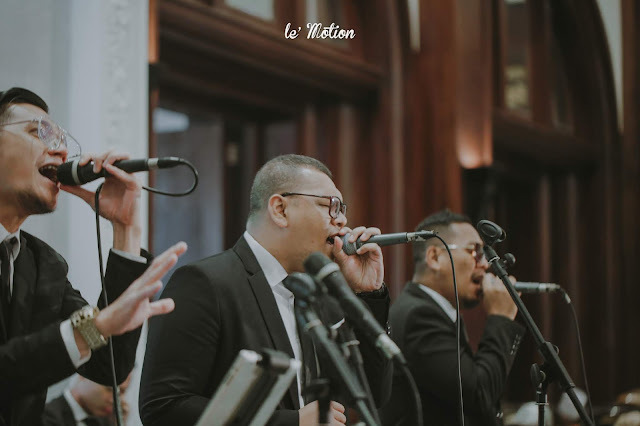 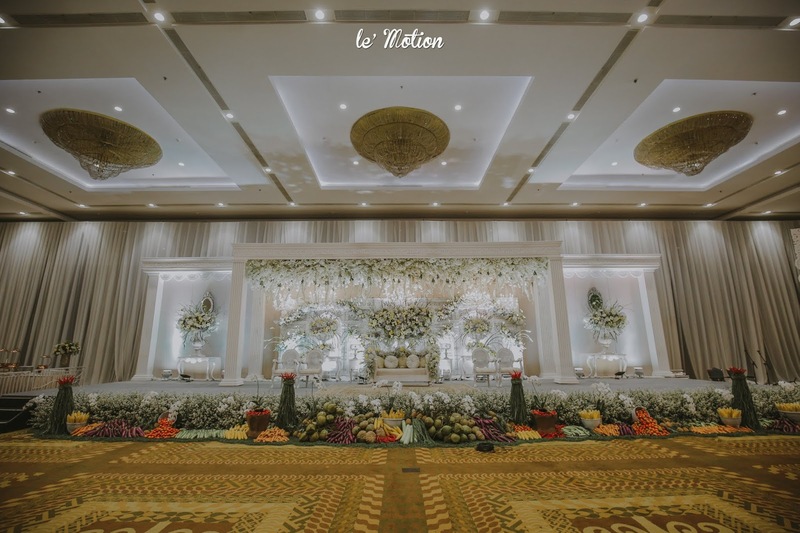 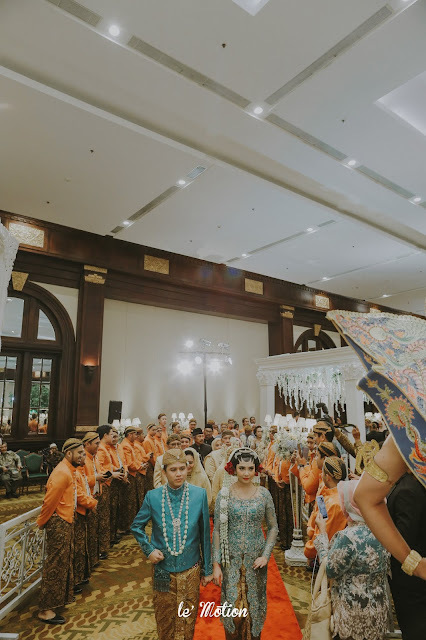 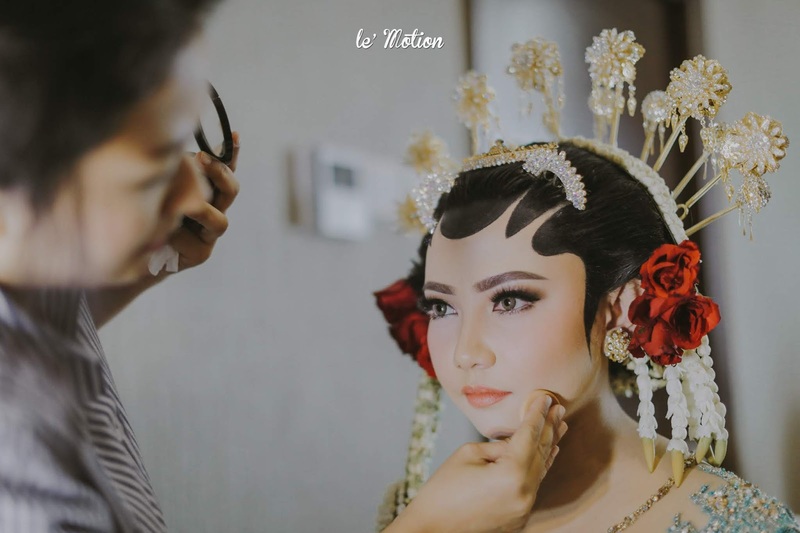 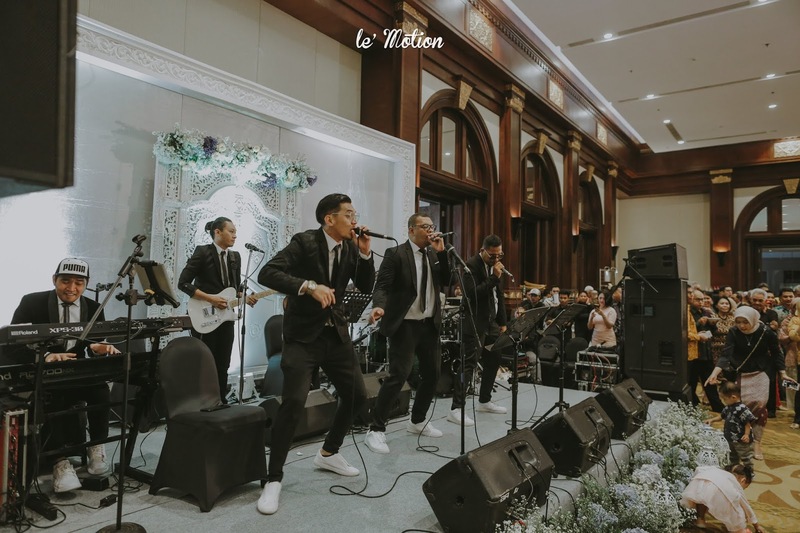 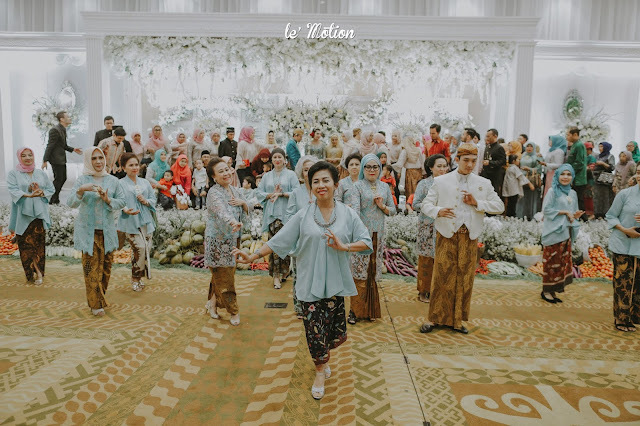 Suryo Dekor successfully incorporated a traditional Minang decorations together with vibrant and sophisticated touches that fits right into each other, making the venue looked so fresh and unique! 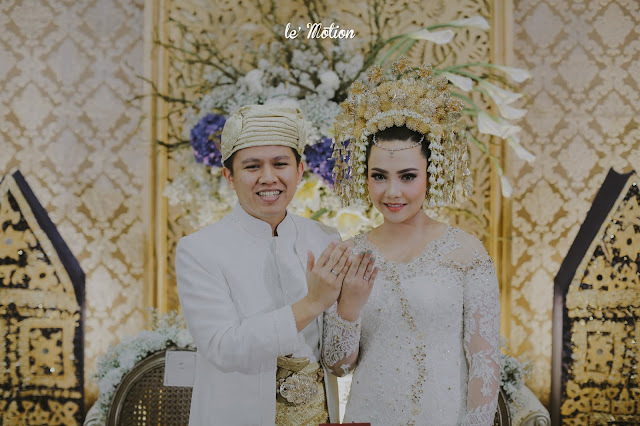 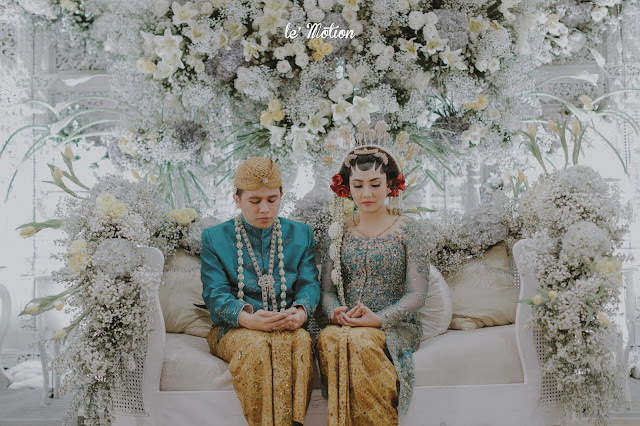 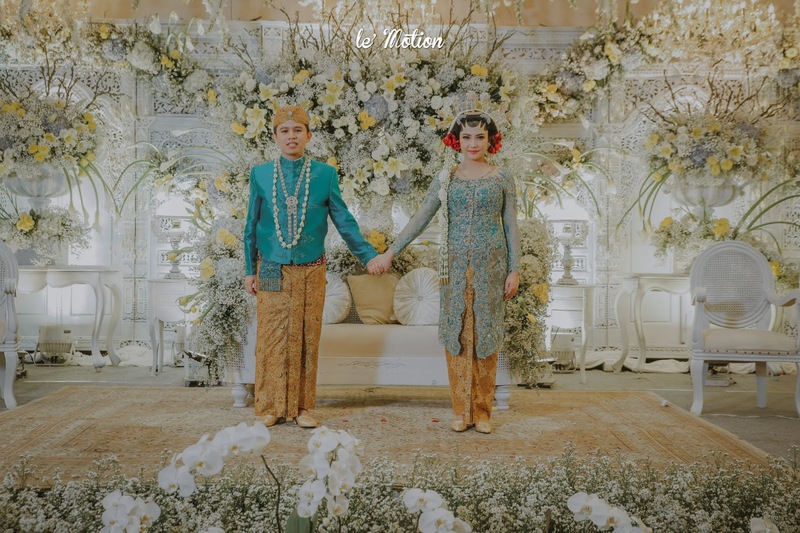 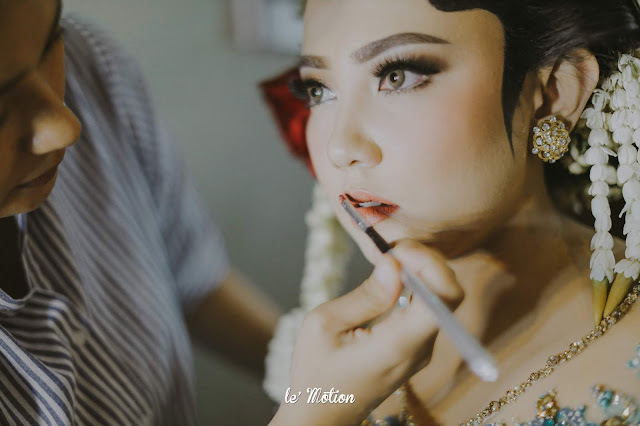 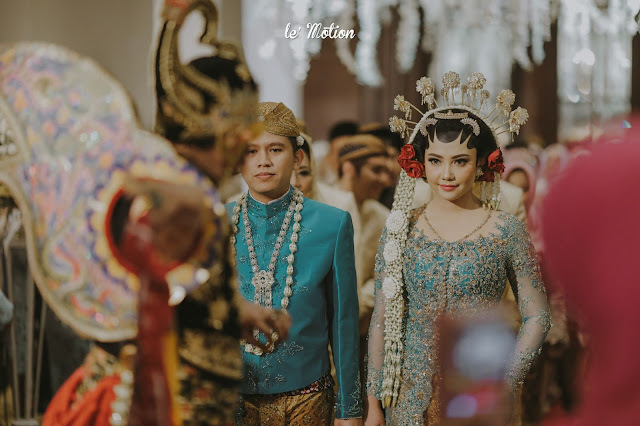 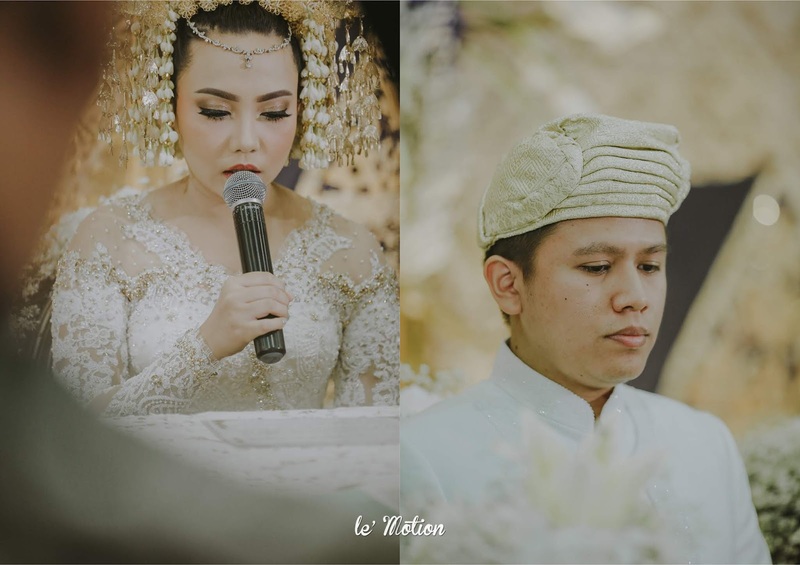 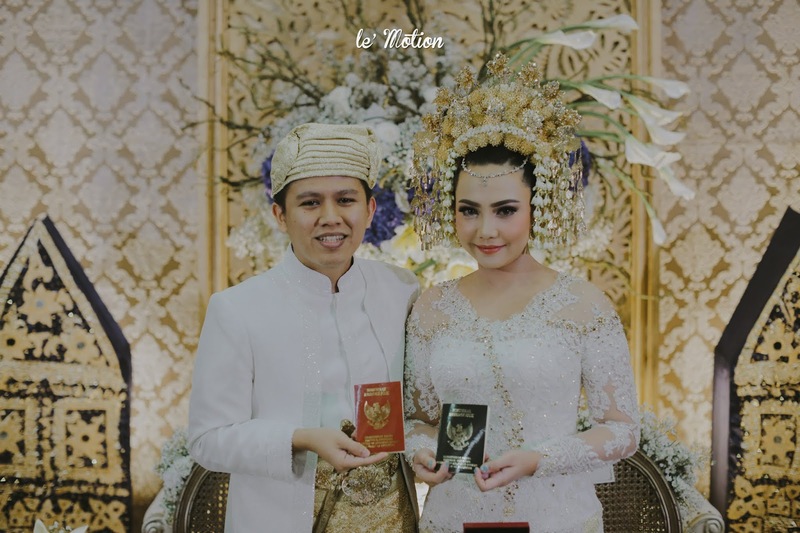 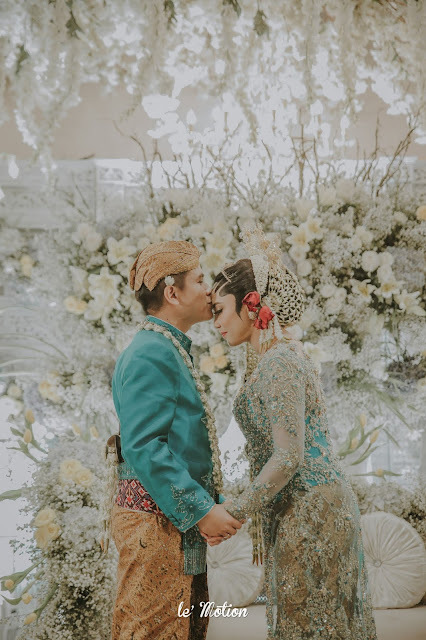 On their wedding reception that was Javanese-themed, Nafilla & Bimo amazed us (again) with their color schemes and all other elements. 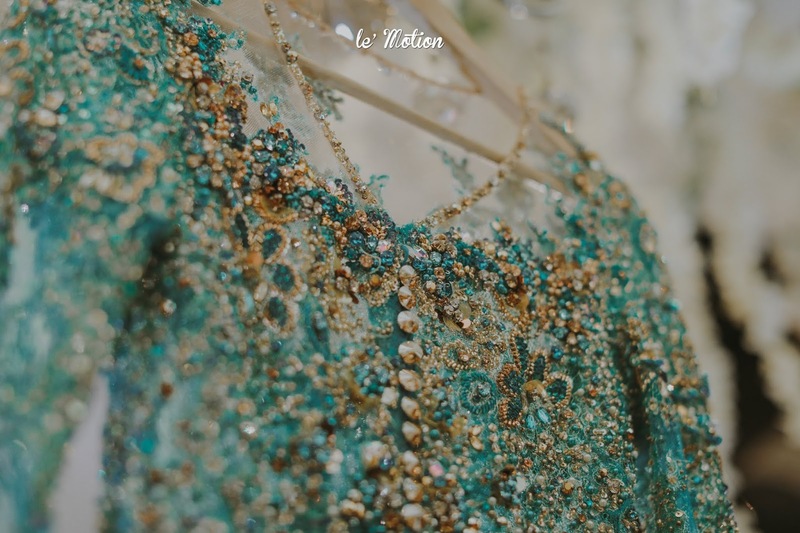 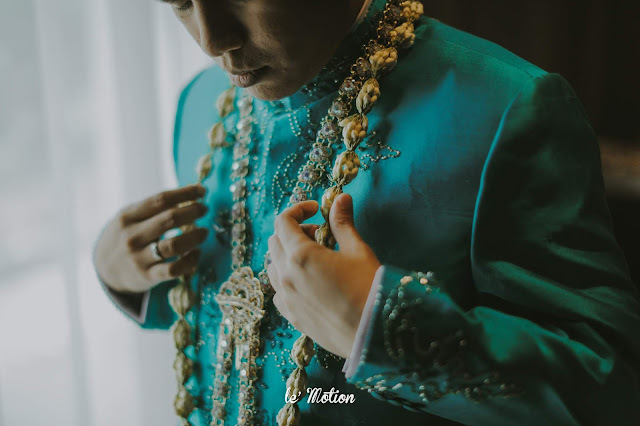 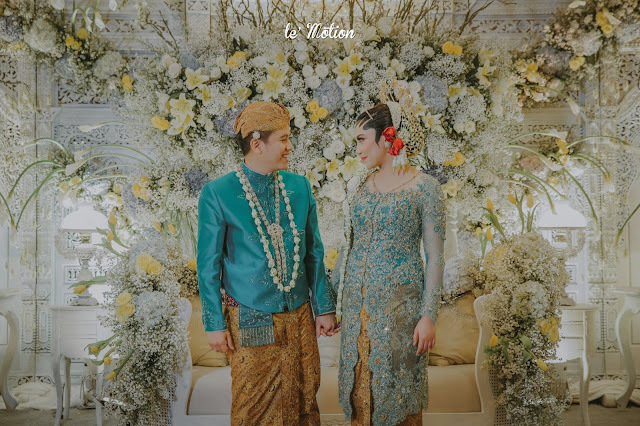 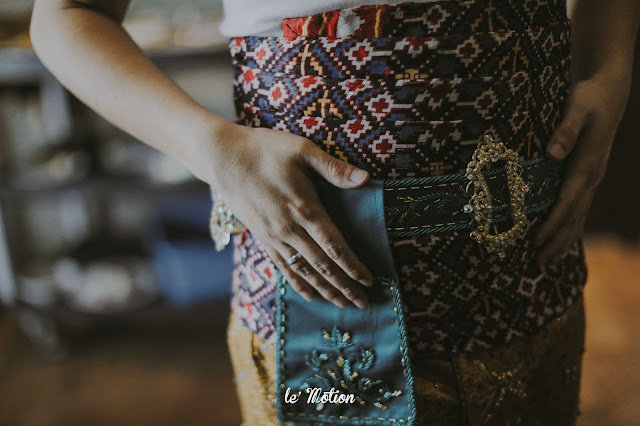 They settled on Turquoise color for their attires and the beads on Nafilla’s kebaya create an intricate detail that makes her instantly look even more dazzling. 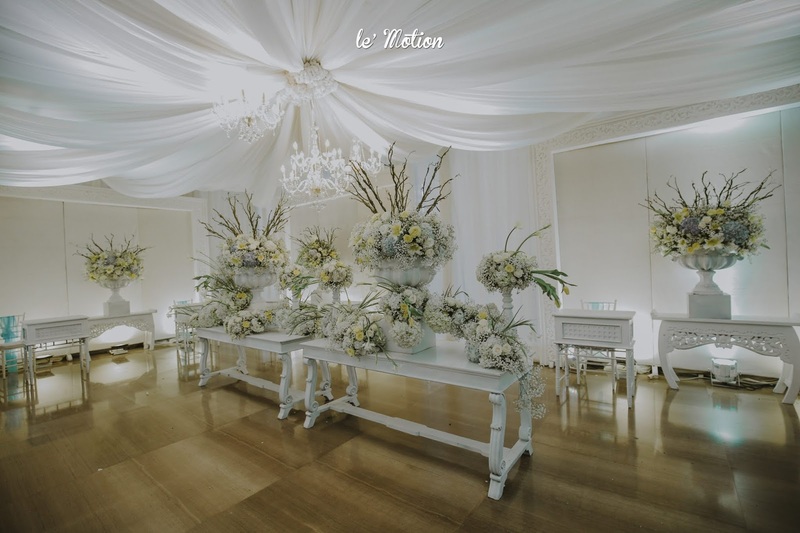 Surprisingly, the decorations for their wedding reception did not feature many color combinations. 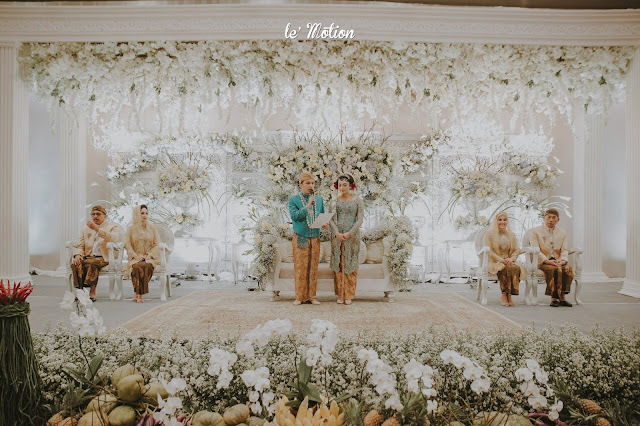 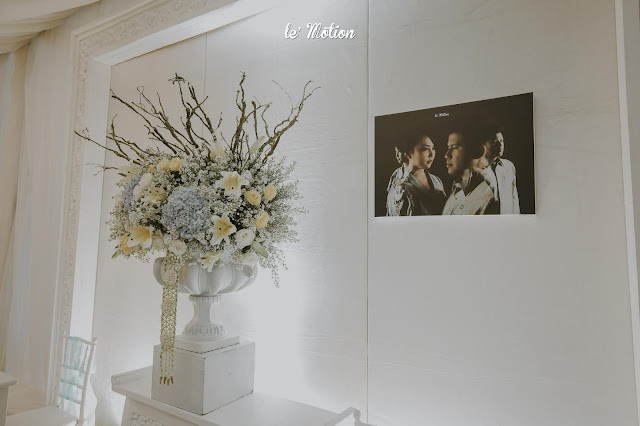 They only pulled off natural shades of white and green as the main color with a little touch of yellow and lavender blue and this somehow made Nafilla & Bimo the only thing that stand out that night. 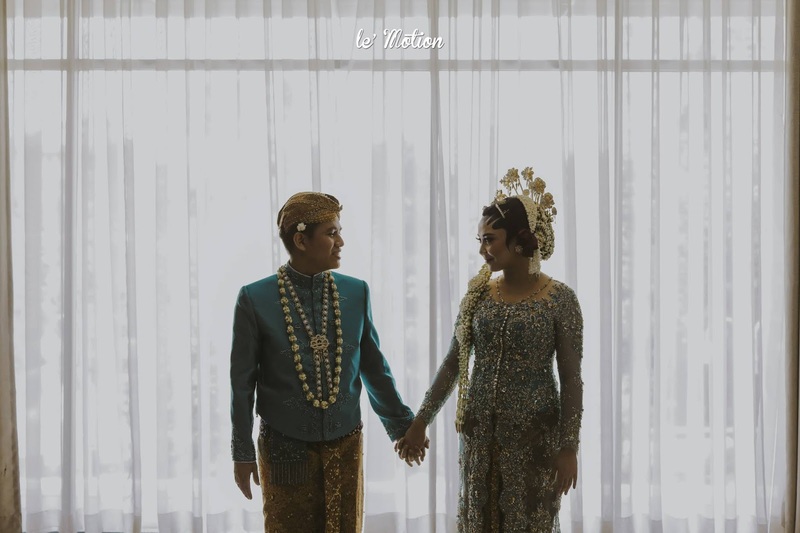 We couldn’t be more happier for our lovebirds, Nafilla & Bimo. We wish you lots of love, today and beyond!